First of all, before starting the review, I have got to confess I am a fan of the Three Kingdoms, from the novel to the games, I have read and played them before. As such, my understanding of the chronology of the Romance of the Three Kingdoms (ROTK) should be classified as pretty thorough. The battle of the Red Cliff is perhaps one of those defining moments in the Three Kingdoms era. In this battle, Cao Cao led a huge army against Sun Quan and Liu Bei, who have become allies in times of need only. The movie, directed by one of the most famous Asian director, John Woo, is a two-parter, with the sequel to be screened at the end of the year. It was said that the first part was to be released earlier, due to the Chinese government wanting it to be shown before the Olympics. The movie, fortunately, does not seem to be made in a rushed manner. And while there was a lot of casting changes before filming the show, I would have to say that the casts of the show was a good fit. 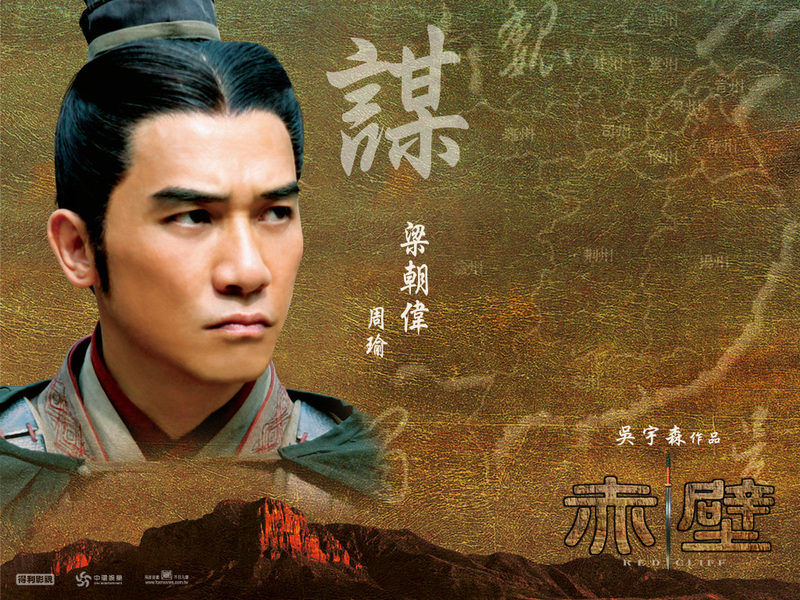 Tony Leung as Zhou Yu brought out awe and wit in his character, while Lin Chiling as Xiao Qiao, the wife of Zhou Yu and written as one of the most beautiful women of that time, did not disappoint either. One note was that the movie was based on the historical account of Sima Qian, instead of the novelization of the Three Kingdoms period. Thus, Zhou Yu was potrayed to be an ingenuous strategist and prudent general, not the cunning advisor who is jealous of Zhuge Liang’s talent. 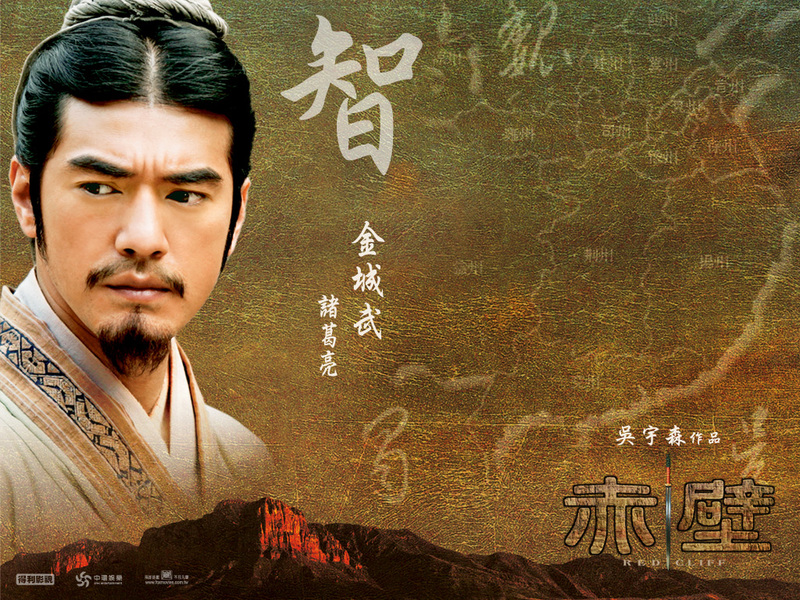 Takeshi Kaneshiro, who potrayed Zhuge Liang, showed the constraint of him serving Liu Bei, who was at that time weak with little army after being defeated at the Battle of Chang Ban. The movie, however, showed the bravery and might of Liu Bei’s generals like Zhao Yun, Guan Yu and Zhang Fei. The combat scenes with these 3 generals was well choreographed and showed John Woo’s skills at its finest. From the beginning with Zhao Yun rescuing Liu Chan from Chang Ban, to the combined armies of Liu and Sun fighting off the first salvo from Cao Cao, it was action packed, not like martial arts offerings from Lee Ang and Zhang Yimou who likes to translate these martial arts moves into something of an artistic dance. John Woo just makes the combat scenes more powerful, just like the way he made those shooting scenes look cool in the 1980s Hong Kong cinemas. The flick moves was expected, but the producers added some nice touches like witty and unexpected scenes into the show which brought out the characters’ personality even further. They were also able to express the difficulties faced by Sun Quan and Liu Bei and how overpowered their army seems when faced with Cao Cao’s armada. Part one of the movie has an exciting finale where the combined armies of Liu Bei and Sun Quan was able to crush the first offensive by Cao Cao, and the movie ends with Zhou Yu and Zhuge Liang intending to use ‘fire’ as their strategy in order to handle the mighty armies of Cao Cao. Overall, this movie lives up to the hype and did not disappoint me, as it managed to bring out the battle, the character and most of all, the live of generals in the Three Kingdoms period. this is nice. hehe!! i love this all.